If you’re a coach, speaker, consultant, or trainer who wants to be an entrepreneur, you need this book. Relationship-Centered Consulting will take years off your learning curve. From checklists that will help you decide if you have what it takes, to operational examples like the Monday Morning Meetings, to ideas for making clients long-term clients, Karen shares what she’s learned in 27 years of owning her own consulting business. This must-read book will help you find your own magic. 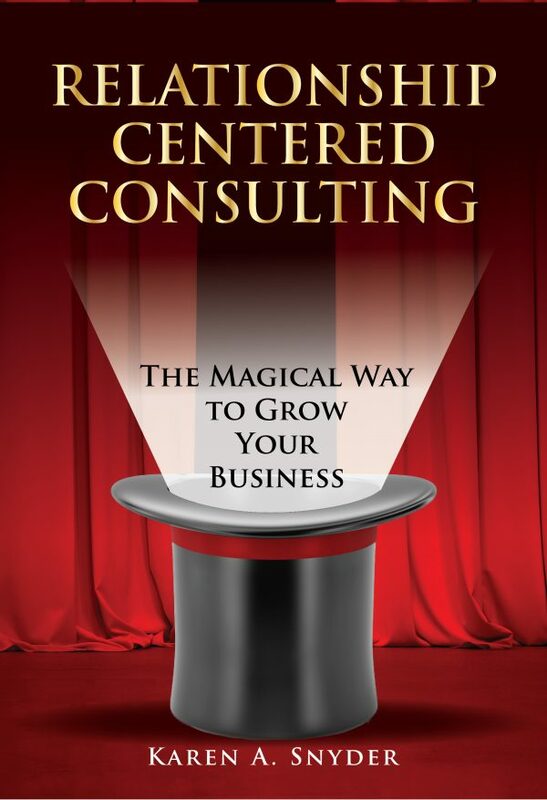 Karen’s new book, Relationship Centered Consulting, is a must read for any consultant because it is filled with real-world actionable items you can put into place immediately in your business. What I love most about this book is it’s easy-to-read style and Karen’s hilarious story-telling. The book is content rich and entertaining at the same time. Even though I have been coaching and speaking for years, I learned so much and couldn’t put it down. Karen has an extraordinarily powerful combination of natural talent and many years experience understanding how people work together (or how they don’t!). In this book she applies these skills to both herself and to the reader to show how an independent HR consultant can fit into a team and improve that team’s effectiveness. Using a series of entertainingly written anecdotes she teaches you how to market your business by becoming an integral part of the organizations you work for. As an independent consultant myself (not in HR) I found the insights incredibly useful to improve how I fit into and communicate with the teams I work with and hence work for them better. Karen’s book is a refreshing and highly useful read! 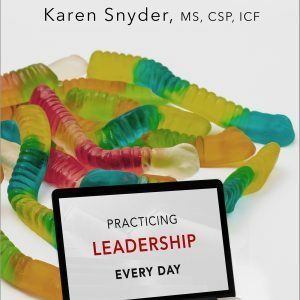 I love working with Karen Snyder and think you will, too. She is the total package – brilliant, warm, engaging, and real! Her insights and expertise will open up new possibilities for action in you and in your organization. If you’re interested in deep change, Karen’s your secret weapon. Awesome! Great information and practical tips for the aspiring speaker! Karen is a wonderful storyteller with a marvelous sense of humor! Karen is able to deliver, with precision and clarity, what I have wasted nearly a year trying to figure out myself. She is on-target! Karen is always so transparent and authentic about who she is and how she built her business, which is very helpful for us newbies! Karen’s real life examples and practical perspective will help me to build my business much more quickly than I could have otherwise. Thank you! Karen is a dynamic writer who weaves her personal stories in to the fabric of her book to really hit home her main points. Karen’s clear-cut, no-nonsense way of bringing a message is captivating. I had an instant sense of trust and confidence the minute I started reading!